How have you been? 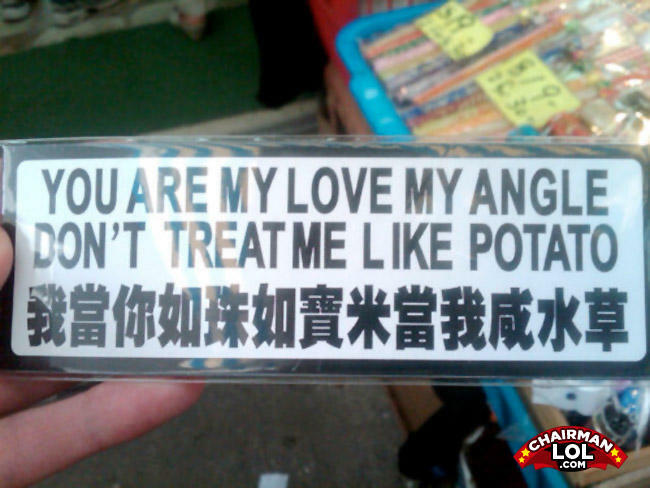 Because I'm a potato. I'm feeling quite chipped off. You are my one and only angle!